When someone hacks into the computers at the FBI's Cyber Crime Division; the Director decides to round up all the hackers who could have done this. When he's told that because it's the 4th of July most of their agents are not around so they might have trouble getting people to get the hackers. So he instructs them to get local PD'S to take care of it. And one of the cops they ask is John McClane who is tasked with bringing a hacker named Farrell to the FBI. But as soon as he gets there someone starts shooting at them. McClane manages to get them out but they're still being pursued. And it's just when McClane arrives in Washington that the whole system breaks down and chaos ensues. Bruce Willis reprises his 19-year-old role as super-cop John McClane in what is easily the best sequel this year. The film has been high on itself for staying away from CGI stunts in favor of old fashioned stunt men and women. 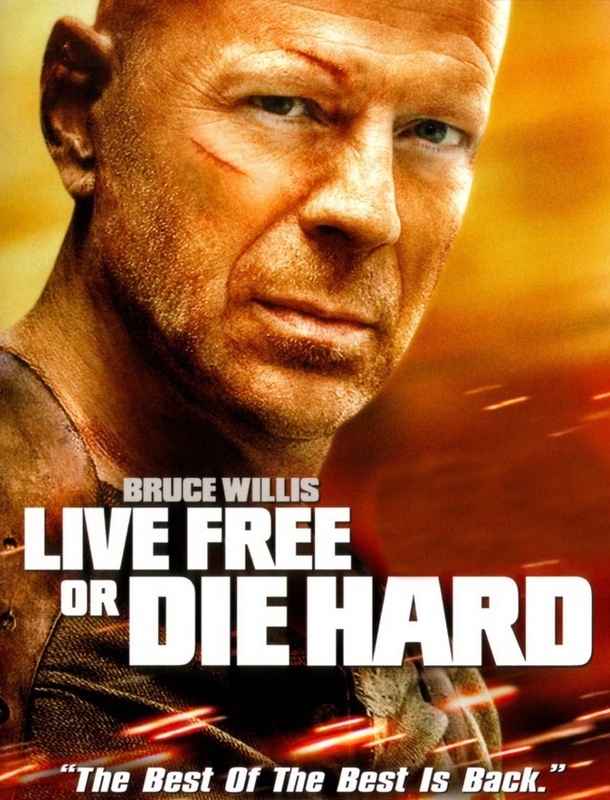 Willis continues to prove that he is one of the biggest badasses in movie history by delivering another incredibly strong performance in Live Free or Die Hard, directed by Len Wiseman(director of the Underworld movies).